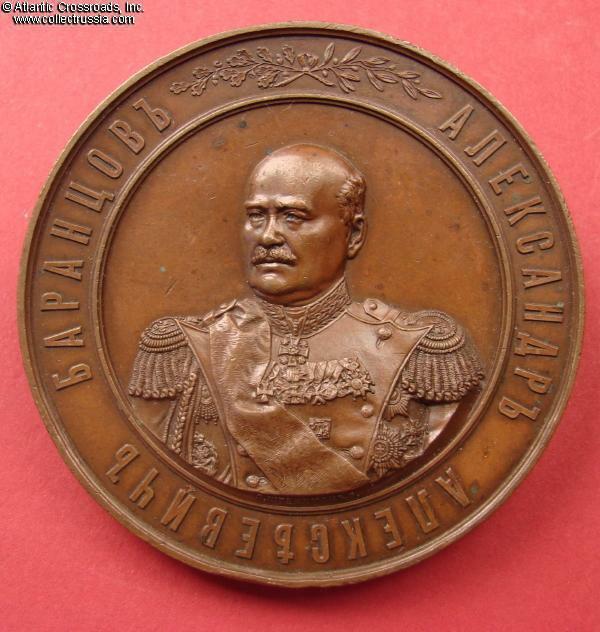 "General Alexander Alexeevich Barantsov ", Table Medal in Bronze. 72.4 mm wide; weighs 153.9 grams. Engraved by Shteinman & Griliches. 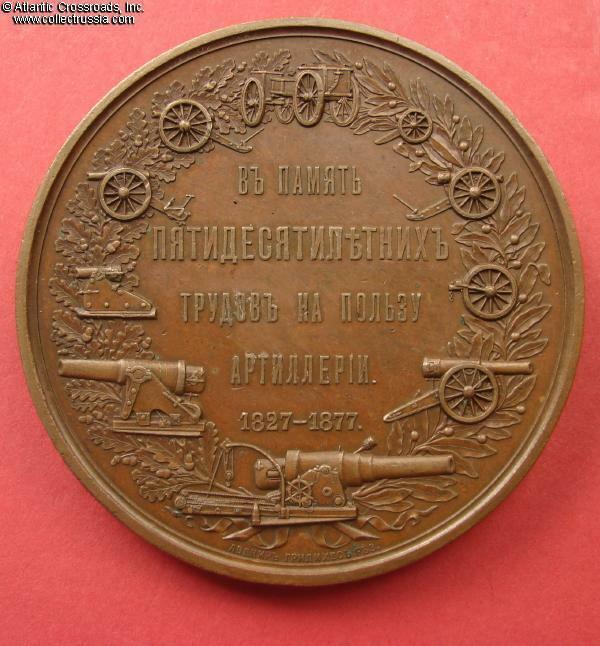 Obverse shows a portrait of the General with the inscription "Alexander Alexeevich Barantsov" Reverse shows an assemblage of artillery pieces as used during Barantsov's career and the inscription: "In Memory of Fifty Years of Efforts to Improvement of Artillery" and "1827-1877". Fine condition. 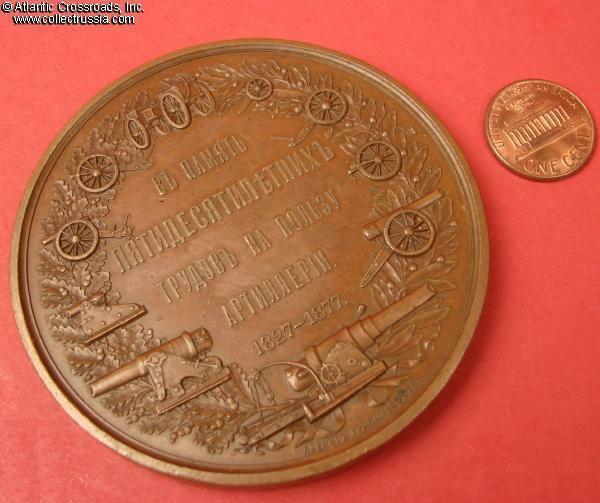 Medal displays uniform chocolate color. 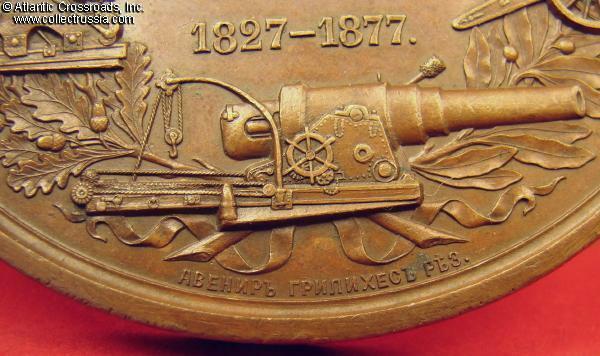 One or two pinpoints of corrosion that do not affect the General's portrait or the artillery pieces arrayed on the reverse. 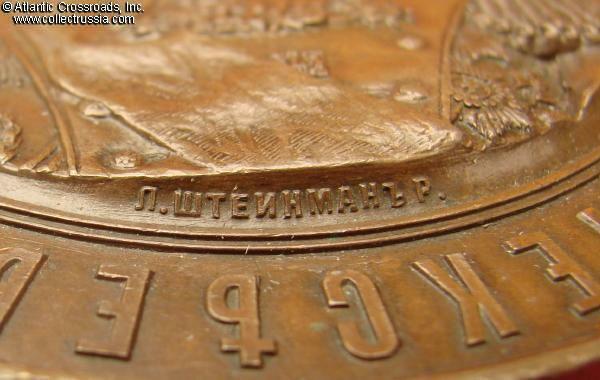 There are very minor edge bumps but they do not affect the medal's presentation, nice over all patina/sheen. 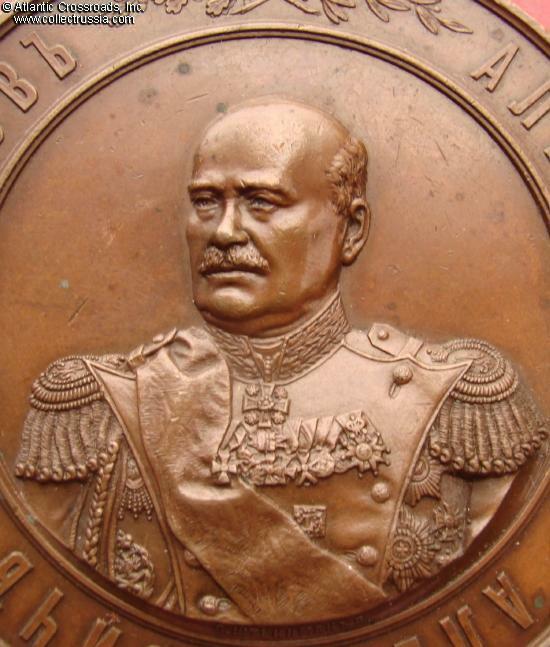 For generations there has been a tradition in Russia that artists and sculptors doing portraits of military men are expected to show the sitter's medals and other awards very accurately or else! 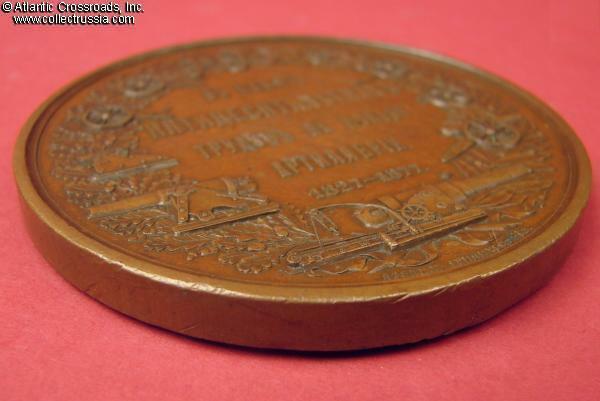 The medal given to the General would have been struck in gold.